I ride approximately 5000 miles per year. I am currently wearing my third Pearl Izumi P.R.O. shorts. Without exception they are superior to any other shorts I have worn for fit and durability. My current pair the are the first I purchasesed through Bike Tires Direct.com and the savings was a real added plus. Ride 3 times per week for a total of about 150 miles For the last 7 years I've worn nothing but Pearl Izumi PRO's. The most comfortable and best fitting of any short I could find. But, last year they changed the cut, size and padding. Now they are the worst I have tried. If you look at the ratings, all of the 5 stars are '13 and earlier and the '15 are all much lower. I can't understand how they could take such a great product and change it to one seemingly to be almost universally panned. Luckily, I had purchased my the new PRO from Bike Tires Direct and they took them back even though I had tried them on a couple of rides. I'm still trying to find a good replacement. Good high quality as always with PI. Size true to fit. Seamless pad is great. Price is crazy - Thank you BTD for not selling full retail. Little pricey but worth the money. Pants fit well and the pad is well worth the money. The best shorts you can buy. I have a number of brands of shorts, including high end Italian brands. PI P.R.O. is unbeatable for comfort, durability and especially the chamois. The In-R-Cool model is perfect for warm weather. They breathe and evaporate moisture superbly. Good , but missing drawstrings. Good quality , chamois superb, fabric has excellent moisture control , only negative is waist band does not have drawstrings, after severals hours in the saddle waist band tends to roll , normally ride in bibs but wanted something different for commute. These are my favorite riding shorts. Casual road bike riding averaging 30-miles per ride. 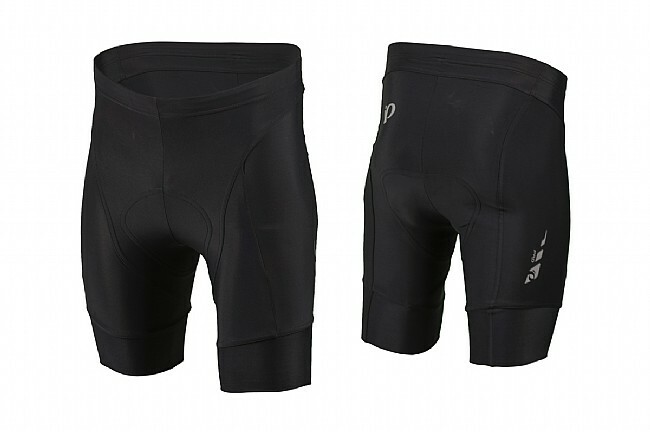 The shorts are comfortable, appearance is good and they provide good ventilation. The shorts have several panels that provide good muscle support. The pad is very comfortable and well formed. The fabric does seem cooler and drier in hot weather (85 degrees ). Leg grippers are comfortable & leg length is long enough. The only knock that I have with these Pearl shorts is that they seem to be cut too high in the waist. I always thought that I was average size--I am 510 with a 30.25 inseam but have had to roll the waist down or else it rides above my navel. My go-to mountain bike shorts!!! I've used this model on everything from neighborhood rides to the SM100! Never chafing and always comfortable. They last forever, too! I bought this for my husband. We ride 4 days a week and have lots of jerseys and shorts including some team kits. He says that this pair is most comfortable, well-constructed, and feels good throughout long rides even compared to team kits he has. So nice! Perfect length , great grippers! Love the sheen of the material kinda like a matte black. The padding is amazing and the way it is sewn in is flawless! No bunching! They feel and look good on and off the bike! I wear these shorts when I want to look and ride like a super star!! !